The play on words within the books title is clear. The authors initials are the prefix of a word which defines his successful career: Obsession. The meaning of this concept that we are interested in cannot be found in the dictionary. 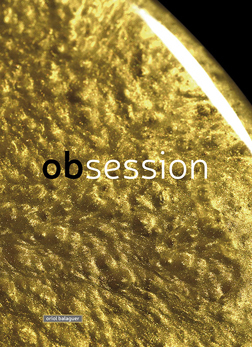 We understand obsession, gastronomically speaking, as the insufferable desire some professionals experience and encourages them to go ever further in the pursuit of excellence. 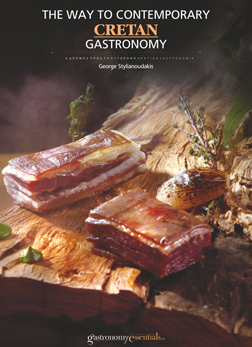 The first culinary book by one of Greece's top chefs released at the end of July beginning of August. .
After many years creating in the art of Gastronomy and having resided in top restaurants worldwide such as the Plaza Athenee (Alain Ducasse), Noma (Rene Redzepi), Quiqui Dacosta of Spain, Cretan chef George Stilianoudakis released his first book entitled, "THE WAY TO CONTEMPORARY CRETAN GASTRONOMY". 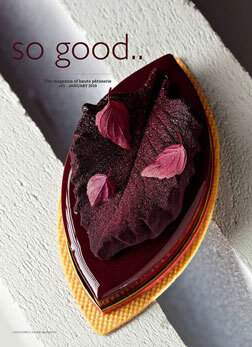 A New Edition of So Good. So Good 'R' has published! It isn't a standard issue. It's a special edition in which we have included ALL the recipes from So Good #1 to #8. 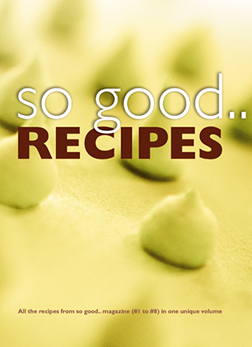 The recipes can be found by FAMILY of PRODUCTS and AUTHORS. It doesn't contain the pictures of the recipes. We are sure that it's an excellent tool for the professionals as they will have more that 1.000 recipes in one volume. The publication of Evolution. Techniques and ingredients for modern pastry offers a wide range of technical possibilities so far unknown to artisanal bakeries. 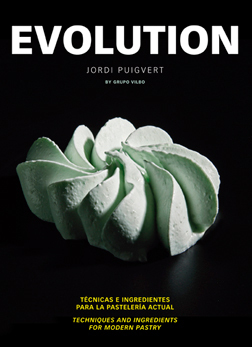 His author, the international consultant Jordi Puigvert, is a versatile pastry chef with an extended research career in pastry and general cuisine.